Pete Scazzero leads this 2 Part training designed for Point Leaders, Pastors and their teams to give you the practical tools you need to launch The EH Discipleship Courses in your church. Each Part is 3 hours long a total of 6 hours. 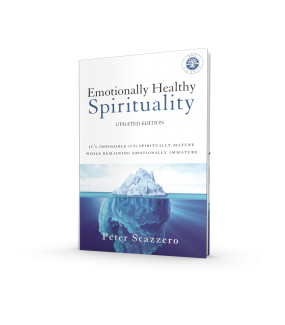 In this hands on training, you will experience a complete EH Spirituality and a complete EH Relationships Course Session as a participant as Pete models leading the course sessions. You will then be guided through the practical “nuts & bolts” of leading and implementing the course in your church. To maximize the training experience, we recommend doing this training with a group of 3 or or more. Each group member should have a copy of the course session notes and resource excerpts that you receive on your confirmation. 6 hour training video on demand – 3 hours each part. This Pack does not include any books and will have no shipping. Pete Scazzero leads this 2 part On-Demand Training designed for Point Leaders, Pastors and their teams to give you the practical tools you need to launch The EH Discipleship Courses in your church. Each part is 3 hours long. 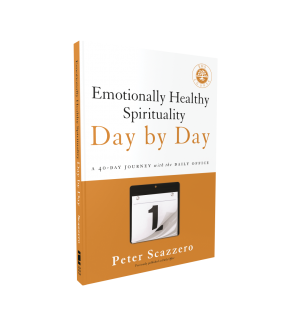 Part 1 is Emotionally Healthy Spirituality and Part 2 is Emotionally Healthy Relationships. This Pack does not include any books or DVD’s. 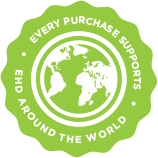 Links will be provided on your emailed confirmation to access this product On-Demand.